The cannabis industry is incredibly fast-paced, and with new and innovative ways to consume the flower emerging on a regular basis, it can be challenging to keep up! Also, with the popularity of CBD ever growing, there are now more ways than ever to consume it, whether that be through CBD oil, CBD capsules, or simply just smoking cannabis like the good old days and reaping the benefits of the whole plant in its entirety. 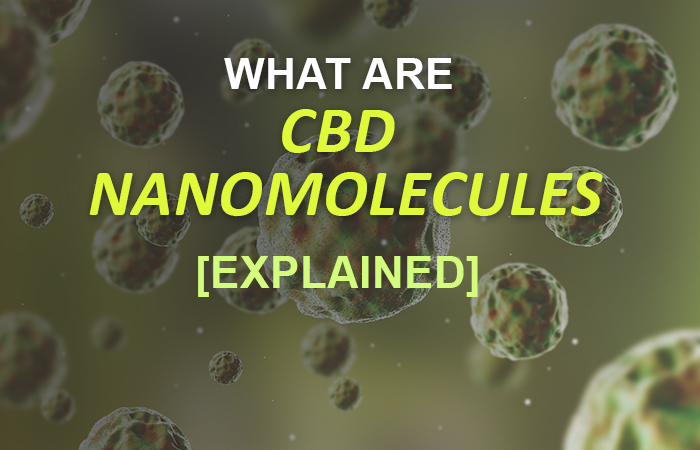 In this article, we are going to be looking at the most recent trend in the industry, CBD nanomolecules. We’ll discuss what CBD nanomolecules are, how they work, and whether you should be rethinking how you consume CBD! But before we get started let’s explore What Is CBD? To start, it seems only right that we look at CBD itself, or Cannabidiol as it is scientifically known. After all, this therapeutic compound is one of the most talked about parts of the marijuana plant, and has been for quite some time! Long gone are the days where cannabis is strictly used for getting high — now you can treat a wide variety of conditions with the plant (without any mind-altering effects),and this is largely thanks to CBD.